There is lots of options available in the market for headphones under 3000 Rupees. 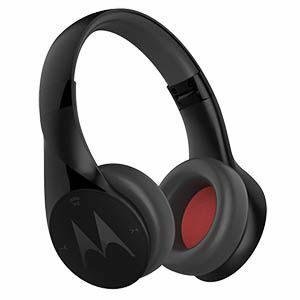 But which one sound best and offer the best value for money Motorola comes with a really aggressive pair of headphones starts with Pulse Max and now they launched new wireless headphones name called Motorola Pulse Escape. Motorola Pulse Escape Over-the-ear Wireless headphones have been launched in India at Rs. 3,499. The headphones will be available in two colors Black and White. Motorola Pulse Escape comes with 40mm drivers. The company says that the headphones were designed to ensure “effective noise isolation” and provide an immersive music experience for the users. These headphones come with a foldable ear cup design. In terms of battery life, the company claims that the new Motorola Pulse Escape headphone offers 10 hours of playback on a single charge. The company says that a short 30-minute charge provides up to 2 hours of playback. Overall Its a Decent Package under Rs. 3000 if you are looking for new headphone in this price range with nice audio output then you can buy these headphones.